First things first, who was the one to come up with this Taco Tuesday stuff? Tacos are to be ate at all times on all days. No need to wait for some Tuesday, I should live in Mexico. Or I could just go to the store. 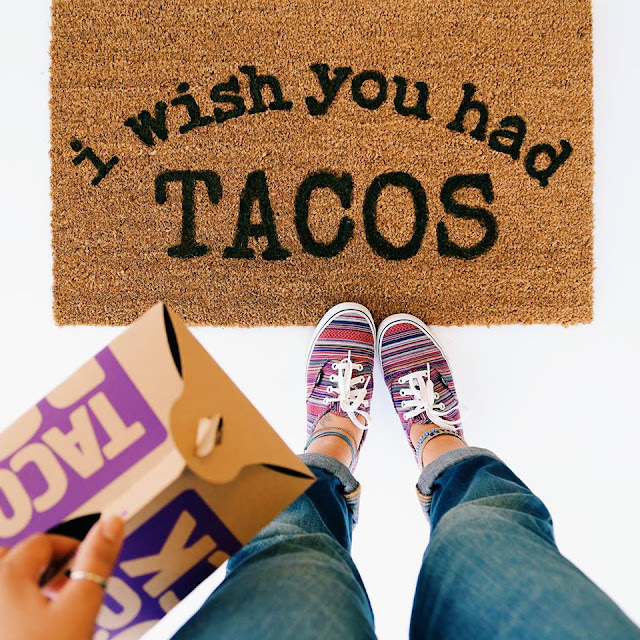 Better idea, I can get this floor mat and just have people bring me Tacos. Why don't I have this in my life. It's like it was made for me and now I need to get one. Maybe two. Incase somebody comes in front the back door.